Little Rock and North Little Rock form the vibrant heart of Arkansas. The two cities and their neighboring towns comprise a metropolitan area of some 500,000 people in central Arkansas. This metropolis, as well as Conway, Searcy and Cabot, and nearby cities in the central region, offer a cosmopolitan mix of historic attractions, imaginative shopping opportunities, fine dining, nightlife and creative arts and fine hotels. A grand collection of museums offers something for every taste – from art to history to aerospace. And the Quapaw Quarter of restored 19th-century homes is one of the country's finest examples of bringing an older neighborhood back to life through adaptive reuse. Be sure to visit the new River Market in Little Rock for tastes of exotic cuisines and the freshest of produce from nearby farms in season. Extensive park systems in both cities provide the chance to play golf or tennis, fish for lunkers in the Arkansas River or on area lakes, hike leafy trails, talk to the animals in the park-like Little Rock zoo or picnic in beautiful natural settings. Central Arkansas is an ideal staging area for your Natural State vacation. Its big city tempo exists side by side with small-town charm. Discover Central Arkansas's winning ways for yourself. 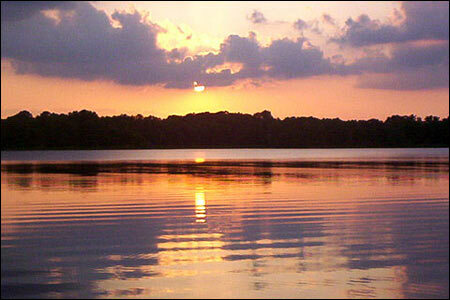 The 625-acre Bear Creek Lake was constructed atop Crowley's Ridge in east central Arkansas in 1938. It lies within the north end of the St. Francis National Forest, and two national scenic byways - the Great River Road and the Crowley's Ridge Parkway, pass nearby.